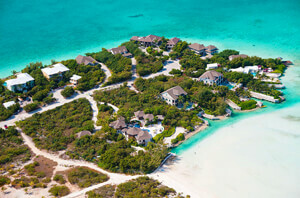 Providenciales, the densest island in Turks and Caicos, offers a variety of beautiful beaches. Whether you're looking for snorkeling, scuba diving, or kitesurfing adventures, or you need a calm beach ideal for little ones, there are beaches suitable for all needs and wants. Check out our guide for access points, public parking, and bathroom locations for a few of the most popular public beaches on Provo. This pristine beach, located on the northeast coast of Providenciales, is considered one of the best beaches in Turks and Caicos. 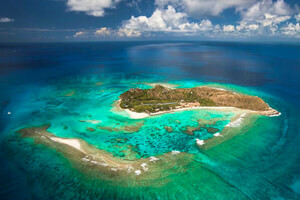 Ideal for snorkeling, visitors can enjoy three miles of clear water and white sands without any seaweed or pollution. There’s plenty of public access points with free parking that only requires a little jaunt from the beach. 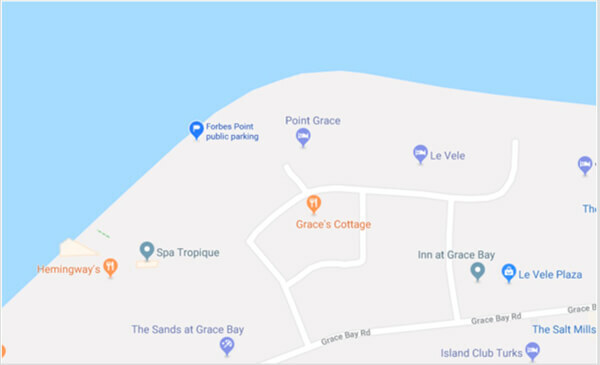 Opposite the Ports of Call Village and next to the Seven Stars resort, you’ll find the central access point to Grace Bay Beach. 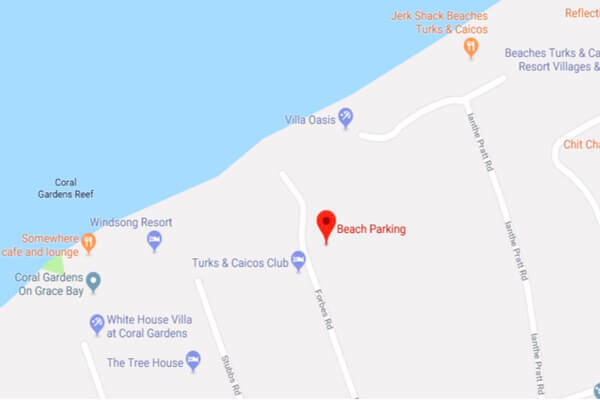 This beach access point offers plenty of parking for those looking to explore Grace Bay Beach. An abundance of free parking can be found next to the Sands Resort. 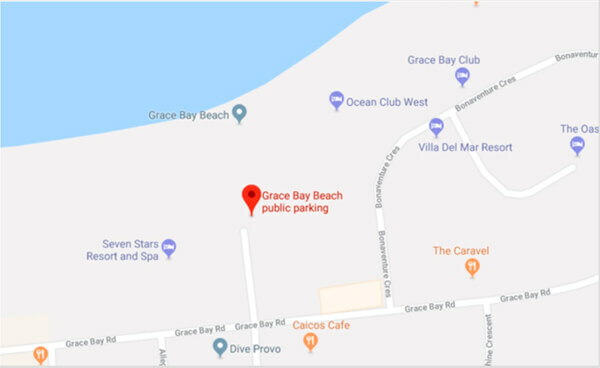 Take Grace Bay Road and turn on Manor Street for access. 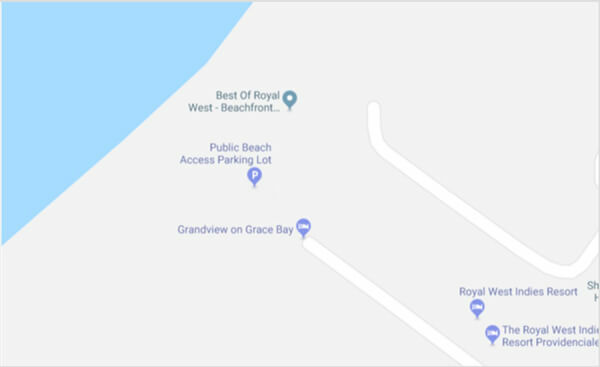 Off Grande Court, public beach parking can be found between the Grandview and the Royal West Indies. 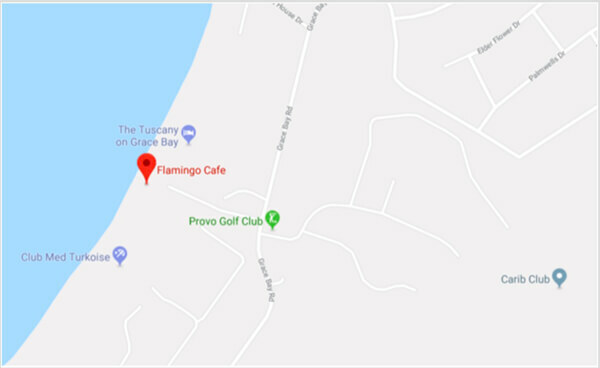 You’ll find free parking, as well as public bathrooms, near this access point next to Flamingo Café across from the Provo Golf Club. 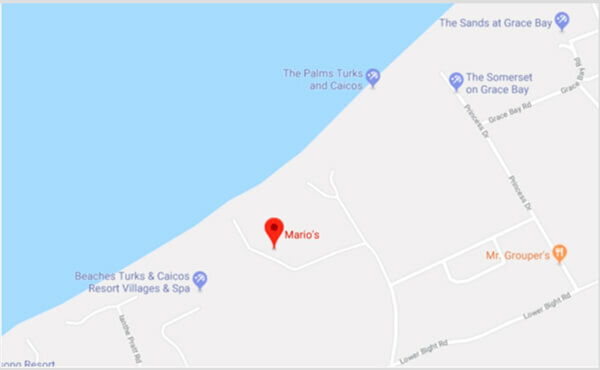 Between the new Beaches Key West Village and Beaches Resort, free public parking can be found on Princess Drive near the restaurant Mario’s. Of all the beaches on Providenciales, Long Bay Beach might be the most tranquil. Spanning three miles on the southeast coast of the island, the clear water is only two to four feet deep going out thousands of feet from land. Additionally, this beach doesn’t experience large swells, making it perfect for families and beachgoers who want to comfortable sit in the water for long stretches of time. 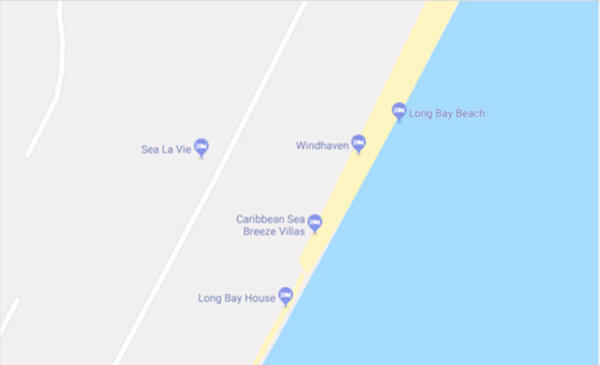 There are three beach access points for Long Bay Beach. Just north of Sea La Vie along Long Bay Beach Drive, a long path can be found leading to the beach. 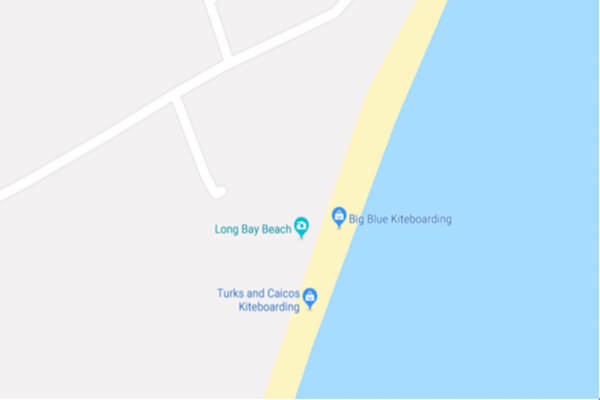 Just next to this popular kiteboarding spot, the North Access is the main access point for Long Bay Beach. 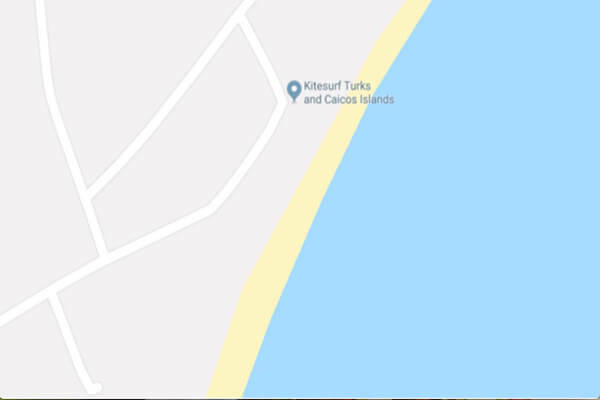 This access point can be found near the Kitesurf Turks and Caicos location on the map below. 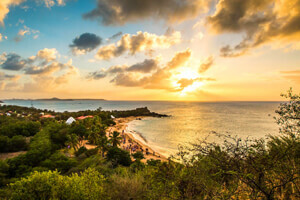 With an expanse of just one and a third mile long, this small and secluded beach on the west coast of the island is known for its scuba diving. Its location near the Caicos Islands plateau, an underwater drop-off, and very clear underwater visibility make it ideal for exploration. 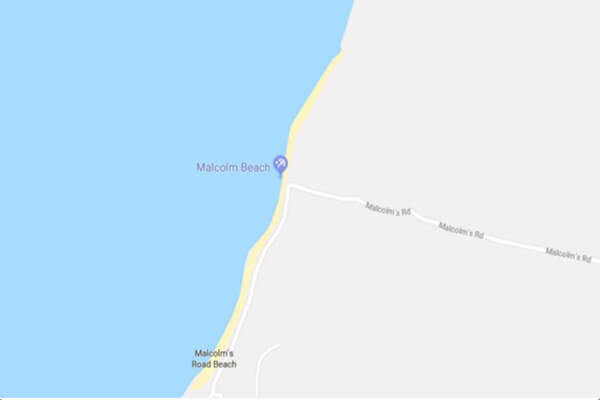 There’s one access point for Malcom Beach with a parking area. Beach access and available parking can be found along the beach, just north of Malcom’s Road. 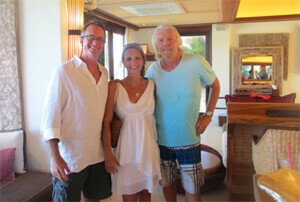 Leeward Beach, located on the northeast end of the island, starts where Grace Bay Beach ends. Surrounded by an upscale residential region, this beach is kept in clean and pristine condition, making it a great spot for swimming and lazing on the sand. Beachgoers can choose from three access points. 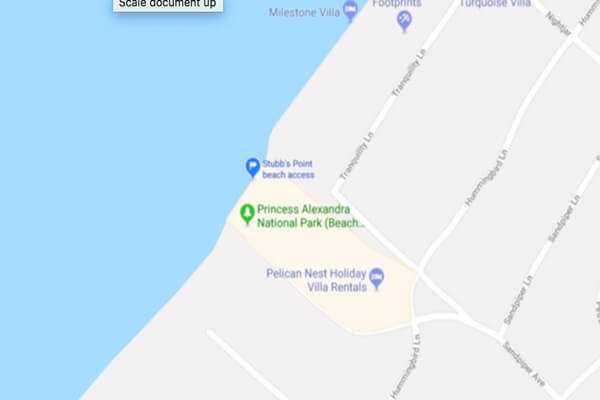 To reach this access point, follow Prince of Wales Drive until you reach the access on the left. This location is a popular launching spot for paddle boarding and kayaking. While this access point is rockier than others, visitors can still find clear water and white sand. 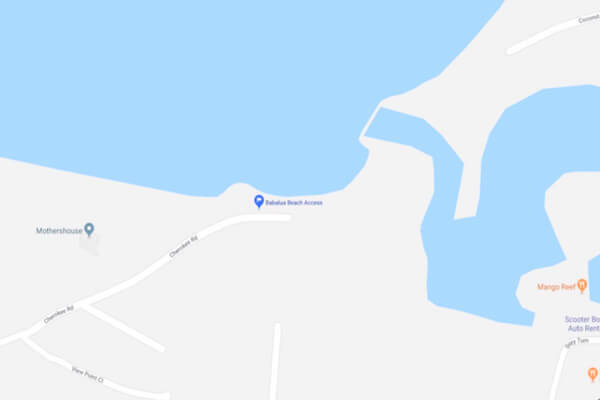 To reach this access, follow Nightjar Road off Sandpiper Avenue. 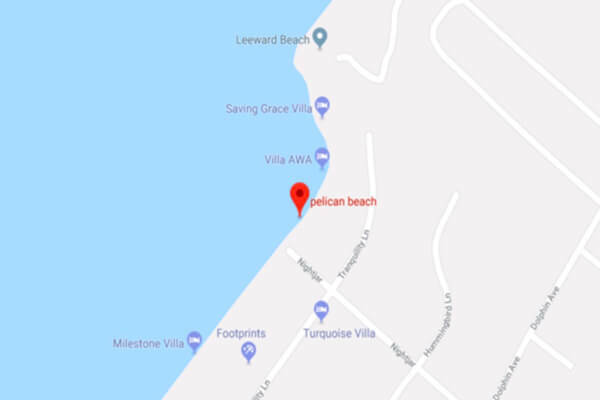 The Stubb’s Point access at Pelican Beach section is the most popular access for Leeward Beach. Calm water conditions make for easy snorkeling. To find this access point, drive down Shearwater Close and follow until it ends. 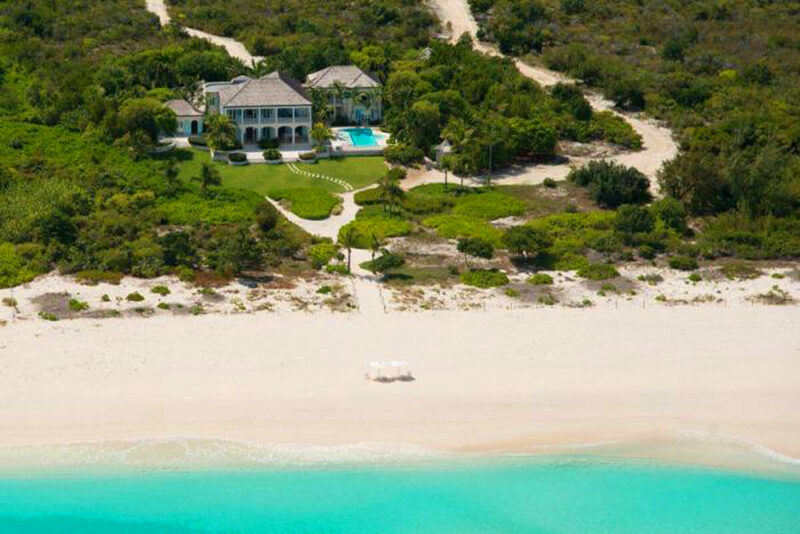 This calm beach is located on the central north coast of Providenciales, sheltered from eastern trade winds. Though sea grass can be found on the ocean floor as close as 75 feet from the beach, typical white sands and clear water are still prominent in this area. 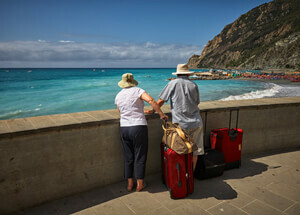 There’s an abundance of access points for the Bight Beach, with free parking and convenience to fun activities. This access point, also known as The Children's Park, is the most popular place to access Bight Beach. Visitors will find an expansive parking area, public bathrooms, and covered picnic spots. To reach this spot, take Lower Bright Road and follow signs for The Bight Park. 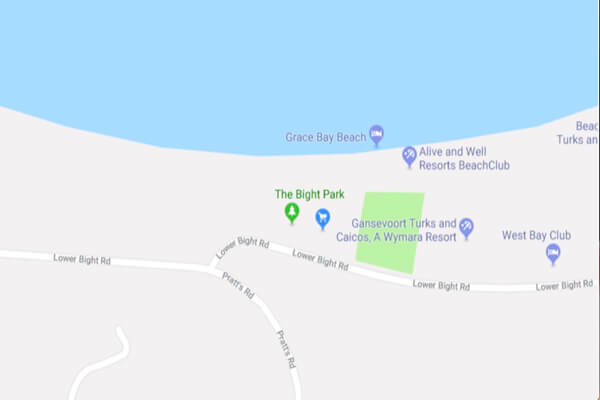 Snorkelers and scuba divers should consider parking near Coral Gardens on Penn's Road, as this is the main access point for the Bight Reef. 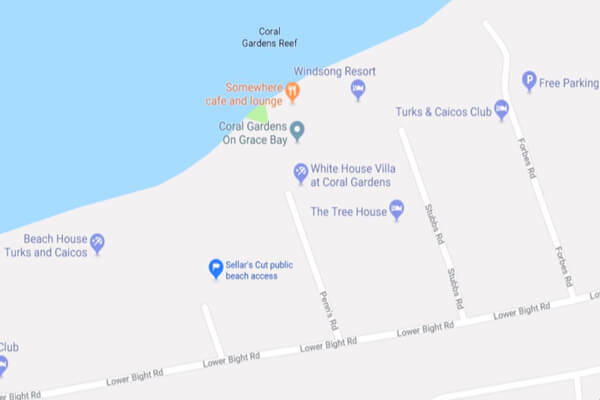 The Sellar's Cut access point on Camilla Lane is secluded, located near the Children's Park and the Coral Garden's access. 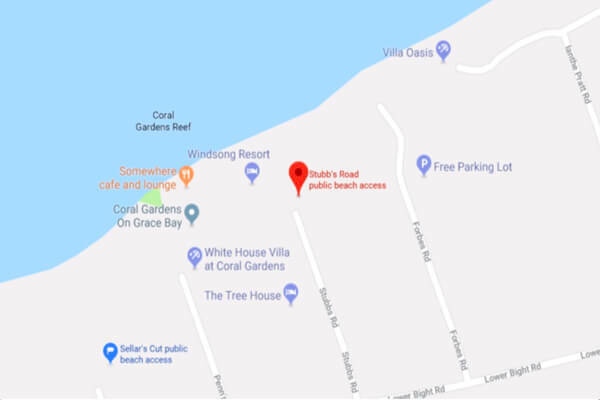 Located between the Seller's Cut access and the Coral Gardens access, another access point can be found at the end of Stubb's Road. This location, too, is also good for accessing the Bight Reef. Although not located within the National Park of Chalk Sound, both Sapodilla Bay and Taylor Bay provide the closest beaches to those hoping to visit this natural landlocked lagoon on Providenciales. 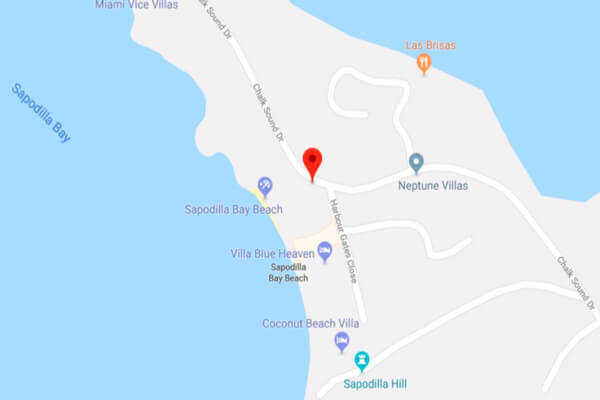 The perfect beach for small children and families with it’s calm, shallow water, Sapodilla Bay is located near the south coast of Providenciales. Following South Dock Road to Chalk Sound Drive, take your first left and find the unpaved beach access road. 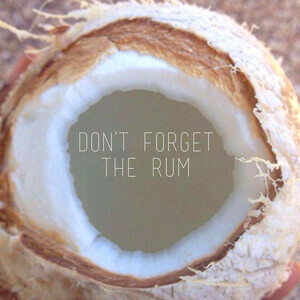 A small police station is in the area and you’ll know you’re in the right spot. This is also the access point for Sapodilla Hill Inscriptions site. 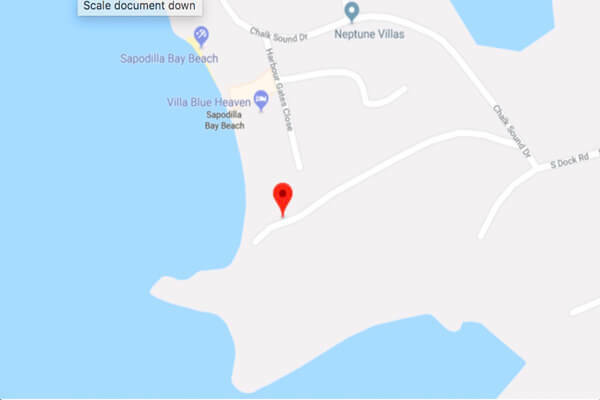 The North Access point to Sapodilla Bay offers more limited parking than the main access point but puts you on a short walking trail to the beach. The entrance is located 500 feet past the Las Brisas Restaurant opening. Note: The parking area is across the street from the entrance so you’ll have to cross the road. Also known as Blue Mountain Beach, this secluded beach area between Thomson's Cove and Turtle Cove is bordered by sea cliffs and the channel into Turtle Cove Marina. 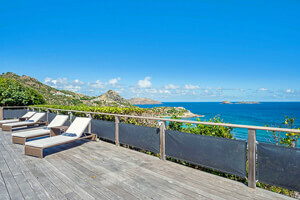 Though often overlooked, this beach offers ideal swimming and snorkeling conditions. There's only one access point for this small but visit-worthy beach. 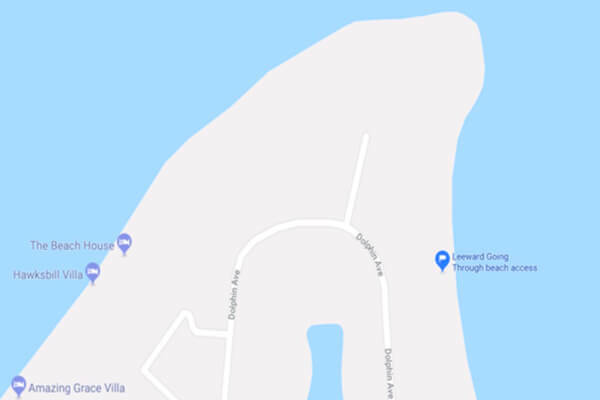 Find the main access point of Babalua Beach hidden behind a large boulder at the end of Cherokee Road, off of Leeward Highway.